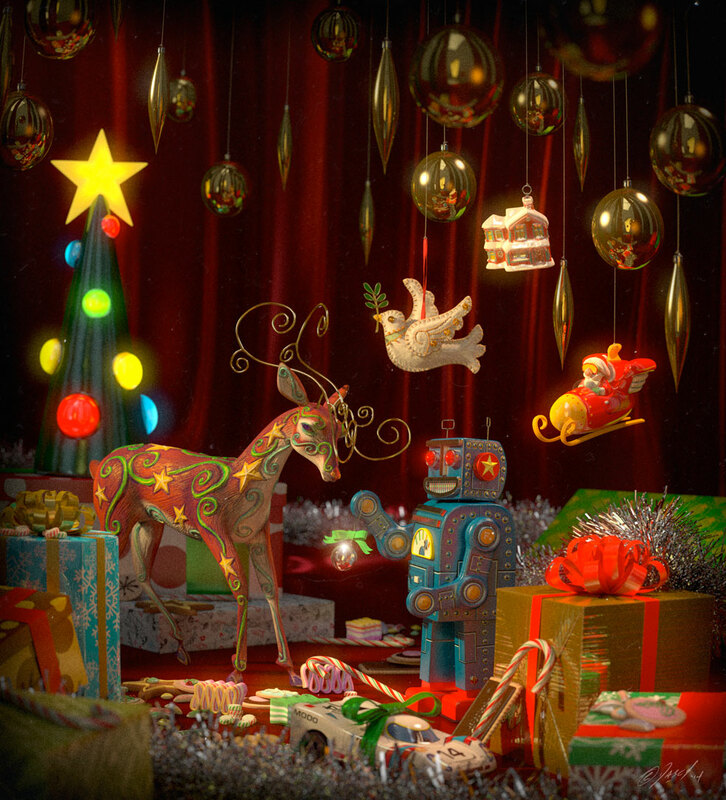 This is my entry in Modo’s 2014 Holiday Image Competition. In my image Technology gives a Gift to the Arts. Created almost entirely in Modo 701. This image did not win the competition but I was awarded an informal ‘Lifetime Achievement Award’ by The Foundry’s Brad Peebler. I am honoured and pleased with how my image turned out.